Craig Suveg and the Suveg Cellars team have dominated yet again at the highest levels of competition. Results from the 2018 San Francisco International Wine Competition came in early last week, and Suveg Cellars took home 6 medals. That brings the Suveg Cellars international medal count to 40 in the last 5 years, a monumental feat for the burgeoning Yucaipa Valley Wine Industry. The winners from this year’s San Francisco International are far from homogenous, sourced from all over California to right here in the Yucaipa Valley. Two of the winners haven’t even been released to the public, and will be unveiled in the coming weeks having already gathered international acclaim. All winners are listed below. Both the 2016 Barbera “Liquid Assets” and the 2017 Viognier received bronze medals in the San Francisco International. Suveg Cellars took home 3 silver medals this year! The 2016 Dolcetto “Soul Sisters” was the one current released that received a silver medal. The two future releases that received silvers? Our first Petit Verdot from 2014 “Meet Your Maker” and the 2015 incarnation of a Suveg Cellars favorite, the Nebbiolo “Attitude Adjustment.” Both will be available in the coming weeks. At long last, our 2015 Roussanne has earned a Gold Medal at the international stage. Not only did it earn a gold, but it was rated as a 93 point wine! Just shy of a classic vintage score. 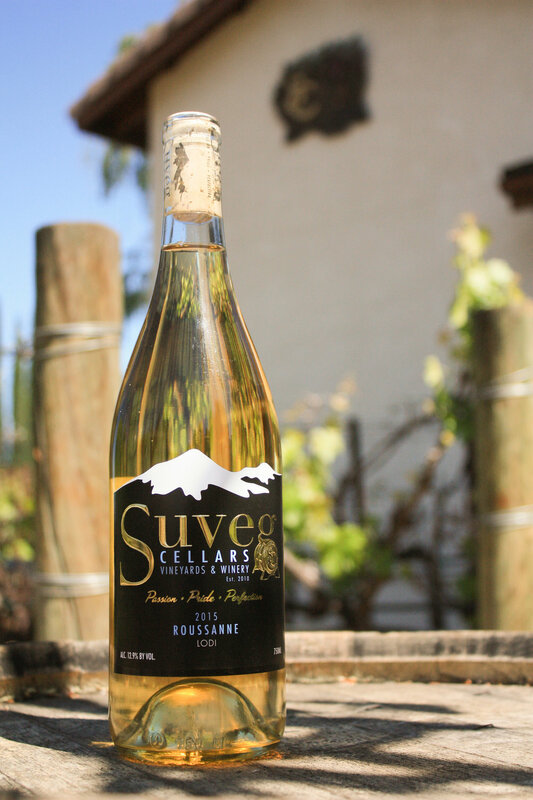 The 2015 Roussanne has been one of our favorite wines since its release, and seeing the wine take home a gold medal is a huge point of pride for the Suveg Cellars winery and for Craig himself. We have just over 20 cases of Roussanne left, so make sure to come visit the Tasting Room before it’s all gone! Thanks to everyone who has been a supporter from day one, and to everyone who has helped encourage us to push the envelope on winemaking in the Yucaipa Valley. 40 international medals down. At least that many more to go.